The Rolling Stones Song of the Day is Good Times, Bad Times. Good Times, Bad Times was the b-side to It’s All Over Now. It was one of the first songs written by the team of Mick Jagger and Keith Richards at the urging of manager Andrew Oldham. This song has nothing to do with the more famous Good Times Bad Times later done by Led Zeppelin. 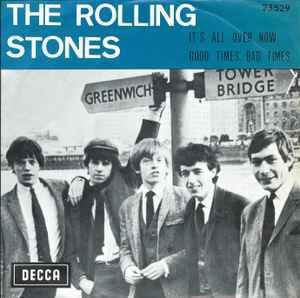 The Stones Good Times, Bad Times is a ballad. This isn’t anything great but as an early Jagger-Richards song it is showing progress over earlier efforts Stoned and Little By Little. Love the harmonica playing by Brian Jones who was a master at so many instruments.